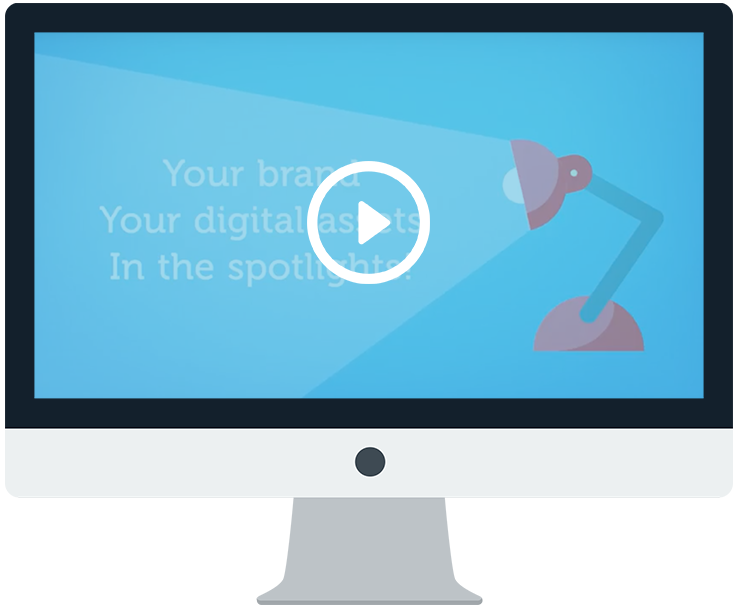 MyBrandPortal, the smart visual content library for your brand! Your own branded environment: the inspiration page. A beautiful pin board grid to inspire your users with your collection brand assets. Improve collaboration and share the right assets to the right people. User friendly interface with visual display. Select, upload and store. Let your customers play in no-time with your visual content. Time is money. 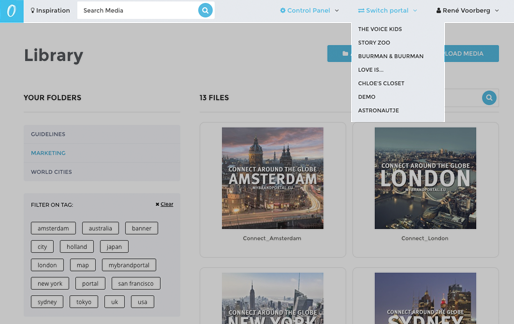 So with MyBrandPortal you can upload tag, edit and find content easily. Keep your users in line. Disclose the right files to the right people quickly and secure. 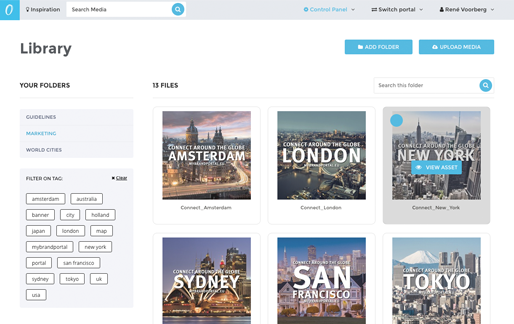 Sophisticated search engine by using tags, folders and a live search bar. Let your customers find and create in seconds! 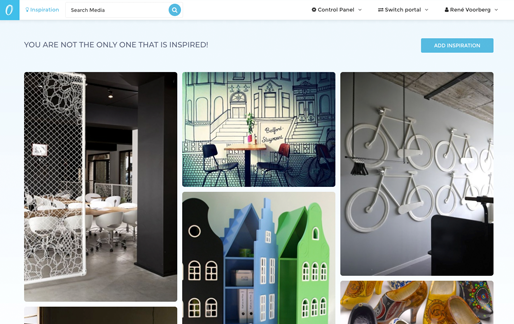 Centrally collaborate and share with as many people as you like, in your custom branded portal. MyBrandPortal is member of ICT Nederland. The core activities of Nederland ICT consist of stimulating the market, promotion of interests and services to the more than 500 members. More information you can read via this this link. To all MyBrandPortal proposals and agreements our Terms and Conditions of Nederland ICT are applicable. Are my assets safe in MyBrandPortal? Your assets are located on a secure private server. Administrators have to add/accept new users, so you keep a full control on your precious content. What filetypes does MyBrandPortal support? MyBrandPortal supports all Adobe, Microsoft files and video files. We are confident you are not leaving. However, your account can surely be cancelled according our Terms and Conditions. Starting packages run on a yearly base and include 25 users. Additional run on a monthly subscription base. How many users can be added to MyBrandPortal? MyBrandPortal offers different modules. 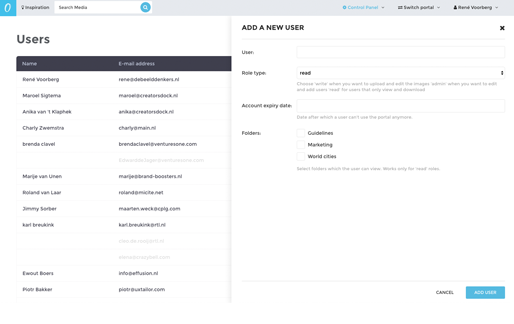 For instance our Portal Enterprise module grants you an unlimited number of users! Want to experience the benefits for your company?